If it has a clean title that is a stupid good price. It does, and should safety as it sits. My friend was interested but she decided to ride her cbr125r for "a few more seasons". That's a street bike. If you're going to spend the money converting it to a race bike, for that class, I'd rather start with an R3 (and did). The cbr500 is overweight and uninspiring, with limited aftermarket support. 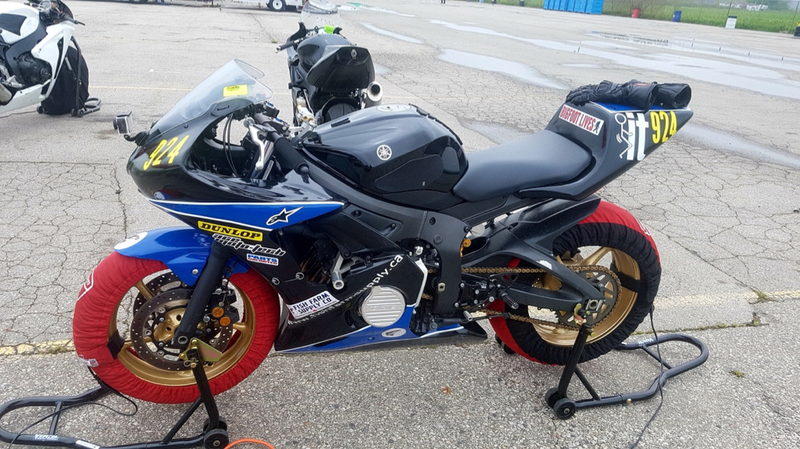 The CBR 500 won the first CSBK demo race last year with a Pro rider on board. I still think it can be a competitive bike in the lightweight class. Thats the point of that class. They are all street bikes. Wouldn’t mind a little input from all you fine track folk. 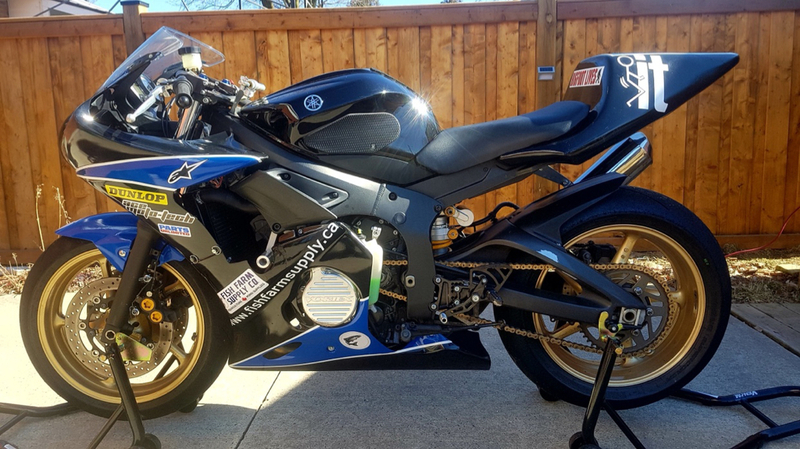 In your opinion, what would be a fair price for an ‘09 Yamaha R6S, ~11,000kms, built by Riders Choice, full list of track upgrades (Öhlins, PC3, Vortex covers, quick turn throttle, Brembo master, new 520 chain....you get the picture), spare wheels....I’m sure I’m leaving some things out. Track only bike, but comes with ownership. And would adding more stuff to make it a package deal be a good idea too? Like, tire warmers, Honda 2500 generator, 4 new tires - 1 pair DOT race and 1 pair slicks. I’m considering giving up track for a bit, but at the same time, I already own all the stuff, I’m not paying insurance on anything so if it sits for a year or two no biggie, right? But on the other hand, if I can get a decent price for everything, why not free up space? 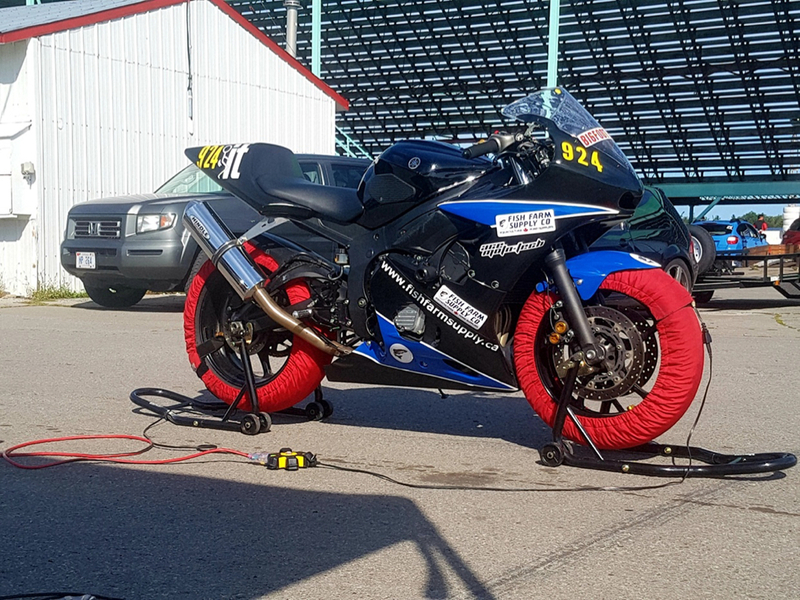 Im not sure if the R6S is as track capable as other 600's from 09. Others may enlighten ? when you say ohlins; do you mean front and rear suspension or just an ohlins steering dampner? rearsets? clip ons? warmers to go w the genny? would help to be specific on the suspension upgrades fr+rr. this good be a nice package deal. Any pics? Im hesitant to even hazard a guess what it would sell for. Looks well cared for. That seems quite high for a 10 year old R6S. hmm. quickly adding up the money spent on your bike and gear, and it would be painful to sell even at 7k. I vote battery tender and fuel stabilizer with a full tank. I would keep it and find a way to track it a couple/few times a season-you even have a couple pairs of tires ready to go. Bike, 4ish. Lovely that suspension has been done, but still needs to be set up for rider. I'd only offer another grand IF that Honda genny is mint. Spares and stand, extra tires add another thousand. 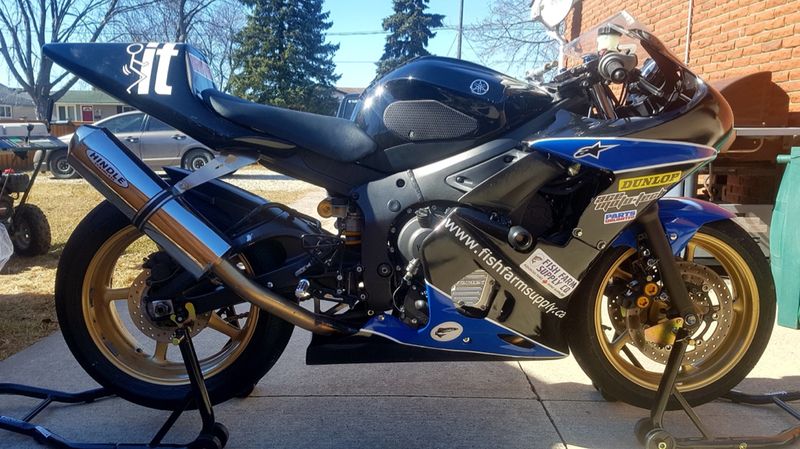 I think that is being generous, the R6s is probably the least desirable R6 out there, its pretty much a 2nd generation R6 (2003-2005) and these are going for around $3K all set up, Ohlins suspension is AWESOME, but most people don't maintain it, to have it refreshed is roughly $500ish if you remove all suspension and bring it to a shop to $1000ish if you just drop off the bike, and thats providing they don't have to replace parts. Thanks for the feedback. After reading this, and a message from Newman, I think I’m better off to keep it in storage until I’m ready to use it again. I don’t need the cash and it’s not costing me anything while it’s sitting in my shop. And I suppose if I find some time this summer to actually use it, it’s ready to ride. Anyone have a trailer for sale? Looking for at least 5*8, he'd rather have a 6*10. Enclosed only and in good shape. 05 ducati 749R 5000kms $6300 usd, located toronto.